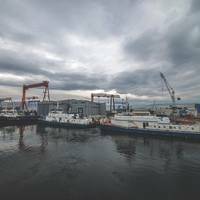 As the maritime market steers toward Athens, Greece and Posidonia 2018, Maritime Reporter & Engineering News interviews Panagiotis Kouroumplis, the Greek Minister of Maritime Affairs and Insular Policy. As the Minister of Shipping for the country with the largest merchant fleet and a millennia-old maritime tradition, Kouroumplis carries his responsibilities with pride and humility.Born in Aetoloakarnania in 1951, Kouroumplis holds a Law degree and a PhD in Sociology from the University of Athens. A Greek gunboat was nudged by a Turkish cargo vessel early on Friday while on patrol for unauthorized migrant crossings in the Aegean Sea, the Greek navy said.The gunboat "Armatolos" was on patrol off the island of Lesbos as part of a NATO operation when the incident occurred at 4 a.m. local time (0100 GMT).The Turkish-flagged vessel "approached and touched" the Greek gunboat, the navy said in a statement. 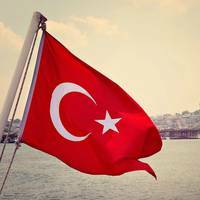 It then accelerated towards Turkish shores and did not respond to subsequent radio calls from the Greek gunboat, according to the statement.The Greek navy said NATO authorities had been informed, adding that there were no injuries or any serious damage to the ship. Greece will not tolerate any challenges to its territorial integrity, its prime minister said on Thursday, days after Turkish and Greek coastguard vessels collided close to disputed islets in the Aegean Sea. 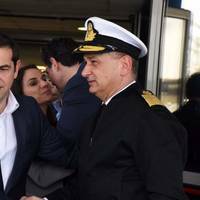 Each side blamed the other for Monday’s collision off an islet known as Imia in Greek and Kardak in Turkish. They came to the brink of war in 1996 in a sovereignty dispute over the islets. Seeking international support, Prime Minister Alexis Tsipras underlined that Greece’s border was also that of the 28-nation European Union, and his foreign minister briefed the head of NATO and the U.S.
Greece sent an official complaint to Turkey on Tuesday, its foreign ministry said, after a Turkish vessel collided with a Greek coast guard boat off disputed islets in the Aegean Sea. 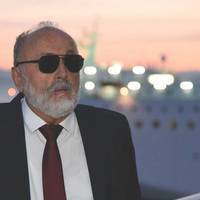 The Greek coastguard said in a statement that the incident took place at Imia, known as Kardak in Turkish, at about midnight on Monday. A Turkish patrol vessel "made some risky manoeuvres" striking the left side of the Greek coast guard vessel patrolling the area, and damaging it. There were no injuries, the coastguard said. Turkey and Greece, NATO allies, have been at odds over a host of issues from ethnically split Cyprus to sovereignty over airspace and overflights. They came to the brink of war in 1996 in a sovereignty dispute over the islets, but tensions have eased since. BMT and Metocean Services International (MSI) have been jointly awarded a contract by Gastrade to deploy an Environmental Monitoring System (EMS) and develop metocean criteria to be utilized for the design of the offshore moored FSRU and the subsea pipeline to shore. The Alexandroupolis FSRU will be located offshore Greece in the northern Aegean Sea in approximately 40m water depth and will connect to shore via a 24km subsea pipeline. 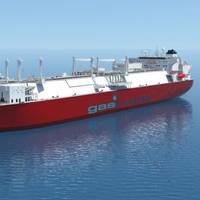 The FSRU is part of the Alexandroupolis Independent Natural Gas System which aims to create a new natural gas gateway to central and south-eastern Europe. As part of the ongoing Blue Star Delos Renewable Energy Innovation Project, Eco Marine Power (EMP) stated that the Aquarius Management & Automation System (MAS) installed on Blue Star Delos has been updated with new fuel oil consumption (FOC) and emissions monitoring software. This updated software combined with the Aquarius MAS hardware allows for fuel consumption data from all flow meters on the ship to be displayed and logged in real-time. In addition CO2, NOx and SOx emissions are calculated based on the fuel type being used. 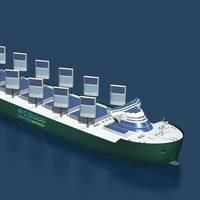 In a step towards bringing renewable energy to shipping, Eco Marine Power (EMP) has been granted a United States Patent for technology related to its wind and solar power system for ships – Aquarius MRE. As a result, EMP now intends to explore joint development project opportunities in the United States and is currently considering a number of options. Technologies related to EMP's Aquarius MRE can be incorporated into existing ship designs such as cruise ships, RoRo vessels, large ferries, car carriers or into future design concepts such as the Aquarius Eco Ship. NATO agreed on Thursday to broaden its operations in the Mediterranean to help the European Union stop criminals trafficking refugees from North Africa but will not act until the fate of rescued migrants is cleared up. U.S. Secretary of State John Kerry said a meeting of NATO foreign ministers supported the wider role as Europe struggles with failing states on its fringes and said NATO should link up with the EU's "Sophia" naval mission in the area. This could be a step towards NATO helping stabilise Libya by patrolling coastal waters to uphold a U.N. arms embargo and counter the growing presence of Islamic State, a step that would likely need U.N. Security Council support, diplomats said. 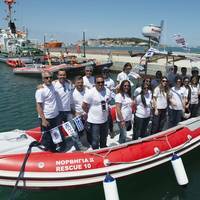 A new lifeboat station has been opened on the Greek island of Chios – with the cooperation of International Maritime Rescue Federation (IMRF) members – to help support the rescue of migrants in the Aegean. The Lifeboat station was made possible through a partnership between Koninklijke Nederlandse Redding Maatschappij (KNRM), the maritime search and rescue service from the Netherlands, and the Hellenic Rescue Team (HRT), and with the support of the Maria Tsakos Foundation along with community leaders and local volunteers. At an event to celebrate the opening of the centre – which was completed in only three months – two lifeboat vessels donated by the KNRM, Athena and Arina to be deployed on the surrounding waters, were also christened. Two ferries carrying more than 120 migrants returned to Turkey from the Greek island of Lesbos on Friday, in the second round of arrivals under an EU deal with Ankara to stem mass migration to Europe across the Aegean Sea. The accord, which came into force on Monday, aims to help end a chaotic influx into the European Union of migrants and refugees, most fleeing war and poverty in the Middle East and beyond, after more than 1 million arrived last year. Around 325 people have now been sent back from the Greek islands under the accord, which the U.N. refugee agency (UNHCR) has condemned and rights advocates say may violate international law. They are to be sent to a camp near Turkey's border with Bulgaria, to which the UNHCR said it had yet to gain access. Three passenger boats return migrants from Lesbos, Chios; desperate migrants continue to cross despite deal. The first migrants deported from Greek islands under a disputed EU-Turkey deal were shipped back to Turkey on Monday in a drive to shut down the main route by which a million people fleeing war and poverty crossed the Aegean Sea in the last year. Under the pact criticised by refugee agencies and human rights campaigners, Ankara will take back all migrants and refugees who enter Greece illegally, including Syrians. In return, the European Union will take in thousands of Syrian refugees directly from Turkey and reward it with more money, early visa-free travel and progress in its EU membership negotiations. Turkish authorities intercepted hundreds of migrants trying to reach the Greek island of Lesbos on Friday, in a major operation involving coastguard ships and helicopters, as European leaders clinched an agreement with Ankara to halt illegal migration. Around 1,200 migrants, many detained at sea and the others in hostels and streets on Turkey's Aegean coast, were being taken to a sports hall in the town of Dikili, a senior local security official told Reuters. The migrants, mostly from Syria and Afghanistan, would be questioned to determine their backgrounds and what action would be taken next, officials said. "I think there are many people running from war to Europe, and I guess it's a (problem)," said Issam Katib, 27, who fled from Damascus and was among those detained.